1. Contract basis of lawful processing is used for personal information which directly relates to purchases and to memberships of our customers and our former customers. Whilst you are a customer we need to store and process certain personal data, such as your name, address, email address, telephone number and your payment details. We will use your contact details (usually just your email address) to send you occasional, compulsory, service related communications. For example, emails about changes in opening times, your membership payments or even changes in key staff. If you are no longer a customer then under the Contract basis of lawful processing you are entitled to the right to be forgotten (erased from our systems) and you have the right to ask us to transfer the personal data that you supplied us with to another company. (It is not possible to erase this type of personal data for existing customers as it is required for processing items such as purchases and memberships). We are required by law to hold accounting information for approximately 7 years, but any other information, that is not required to be kept by law, can be erased from our systems should you request it. Please see the contact information at the bottom of this page if you wish to make such a request. 2. Consent basis is used when you choose to opt in to receive our direct marketing such as, but not limited to, the email, sms, telephone, or postal mail versions of our newsletters, promotions and information on our special events. This optional use of personal data applies to both customers and non-customers and is usually restricted to just your name, address, email address, mailing address and telephone number. You may opt out of receiving our marketing at any time, whether a current customer or not. If you wish to opt out from direct marketing you will be able to do so via an unsubscribe link included in each marketing email or you can contact us using the information at the bottom of this page. In addition, as a member, you may choose to participate in various health and fitness schemes that we operate, such as body composition analysis and various health and fitness tracking systems. By choosing to participate in such schemes you consent to us recording and processing your physical, health and biometric data for the sole purpose of fulfilling the functions of the service you have chosen to participate in. If you decide to leave any of these schemes you have the right to request that we erase your data from our systems. Marketing: We will not sell or pass your details to any 3rd-parties for marketing purposes, we respect your privacy. You will not be automatically opted in to any marketing campaigns that we run. If you would like to opt in to receive our newsletters, promotions and to hear about upcoming events then please let us know by either contacting us or by using an email opt in link on one of our websites. You can unsubscribe at any time. When someone visits one of our websites we use a third-party service, usually Google Analytics, to collect standard internet log information and details of visitor behaviour patterns. We do this to find out things such as the number of visitors to the various parts of the site. This information is only processed in a way which does not identify anyone. We do not make, and do not allow Google to make, any attempt to find out the identities of those visiting our website for legitimate purposes. If we do want to collect personally identifiable information through our website, we will be up front about this. We will make it clear when we collect personal information and will explain what we intend to do with it. Our websites may use an integrated application to help maintain the security and performance of the website. To deliver this service it processes the IP addresses of visitors to our website and logs and blocks any IP addresses that make unauthorised attempts to log in or that try to examine the non-public content. We sometimes run advertisements through Facebook Ads. The adverts usually aim to promote our companies, our events and our special offers. We are targeting Facebook users using the ‘Core Audience’ option. We have selected certain demographics to determine the audience we want Facebook to target. This data is native to Facebook – no third party or imported data has been used. The targeted demographics are listed below. Currently, we are not actively advertising on any social media platforms other than Facebook, but we reserve the right to do so in the future. In doing so, we will follow similar guidelines as given in the Facebook advertising section above. The demographic data will be native to each social media platform and no third party or imported data will been used. We use SSL/TLS encrypted email between our email applications and email servers, please ensure that your email application also uses SSL/TLS to ensure end-to-end privacy of any data being sent. CrossFit Telic offers various services to our customers. We have to hold the details of the people who have requested our services in order to provide it to them. However, we only use these details to provide the service the person has requested and for other closely related purposes. For example, we might use information about people who have requested a service to carry out a survey to find out if they are happy with the level of service they received. CrossFit Telic uses software from third-party data processors to take payments, maintain membership information and to manage classes or appointments. These data processing companies are, where appropriate, GDPR, PECR and or PCI-DSS compliant. They include, but are not limited to, Membr, TeamUp, Legend, Harlands Group and Accountis membership and payment systems. As well as card payment systems such as Worldpay and PayPal. Data is sometimes stored in the cloud using Dropbox. Email marketing is carried out through Mailchimp. Further information on these companies can be found on their websites or supplied by us upon request. Additionally, should payments fall past due we may have to pass your name, contact details, payment and account information to a 3rd-party debt collection company (we do not currently use a particular debt collection company but may assign one in the future). CrossFit Telic utilises CCTV cameras within their premises and on the perimeter areas adjacent to their premises to protect clients, employees, property and visitors. Video is recorded on a central CCTV system and may be stored for up to 90 days after which time it is automatically overwritten. Should the need arise, copies of recordings may need to be given to the authorities to aid in any investigation – this will be done within the guidelines issued by the Information Commissioners Office. When individuals apply to work at CrossFit Telic, we will only use the information they supply to us to process their application and to monitor recruitment statistics. Where we want to disclose information to a third party, for example where we want to take up a reference or obtain a ‘disclosure’ from the Criminal Records Bureau we will not do so without informing them beforehand unless the disclosure is required by law. Once a person has taken up employment with CrossFit Telic, we will compile a file relating to their employment. The information contained in this will be kept secure and will only be used for purposes directly relevant to that person’s employment. Once their employment with CrossFit Telic has ended, we will retain the file in accordance with the requirements of our retention schedule and then delete it. CrossFit Telic tries to meet the highest standards when collecting and using personal information. For this reason, we take any complaints we receive about this very seriously. We encourage people to bring it to our attention if they think that our collection or use of information is unfair, misleading or inappropriate. We would also welcome any suggestions for improving our procedures. This privacy notice was drafted with brevity and clarity in mind. 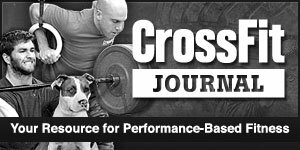 It does not provide exhaustive detail of all aspects of CrossFit Telic’s collection and use of personal information. However, we are happy to provide any additional information or explanation needed. Any requests for this should be sent to the address below.